This weekend. Coming this winter: two brothers. In a van. And then a meteor hits, and they ran as fast as they could from giant cat monsters and then a giant tornado came and that’s when things got knocked into 12th gear. A Mexican armada shows up with weapons made from tomatoes. And you better bet your bottom dollar that these two brothers know how to handle business. 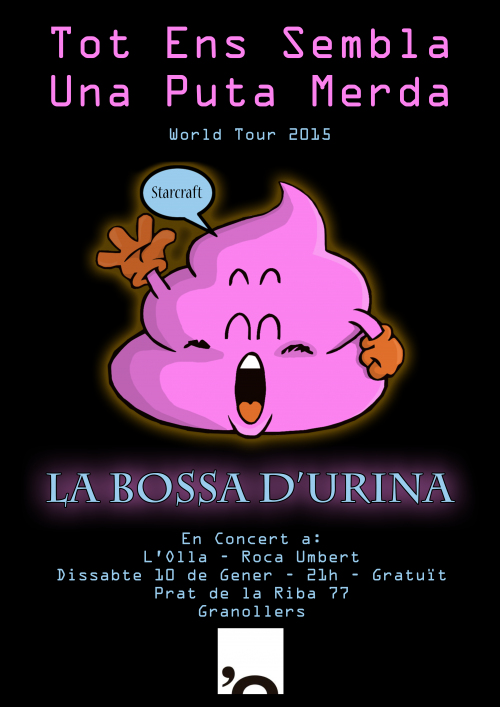 In: LA BOSSA D’URINA TOT ENS SEMBLA UNA PUTA MERDA WORLD TOUR 2015. 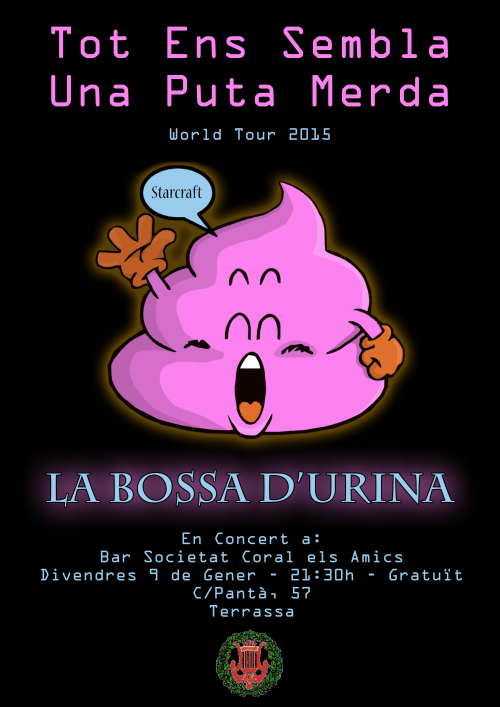 Playing in Terrassa on Friday 9th of January and in Granollers on Saturday 10th of January. More info on the posters below. IT’S TWO BROTHERS.